You didn't think I'd let the weekend get here without posting a video, did you? Here's this weeks video. It's late. I mean literally, it's really freaking late at night, and it's chock full of randomey goodness. YouTube seems to have a knack for making bizarre changes over the years. What do you think? There are a lot of recaps for the Vidcon in LA this past week. Here's the recap of Vidcon Portland. Lindsay Lohan is batshit insane and now she's going to jail. 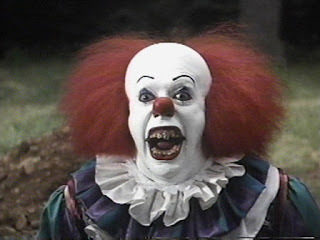 There's nothing funny about clowns. In this video, I'll tell you why. Watch Clowns are no Laughing Matter.